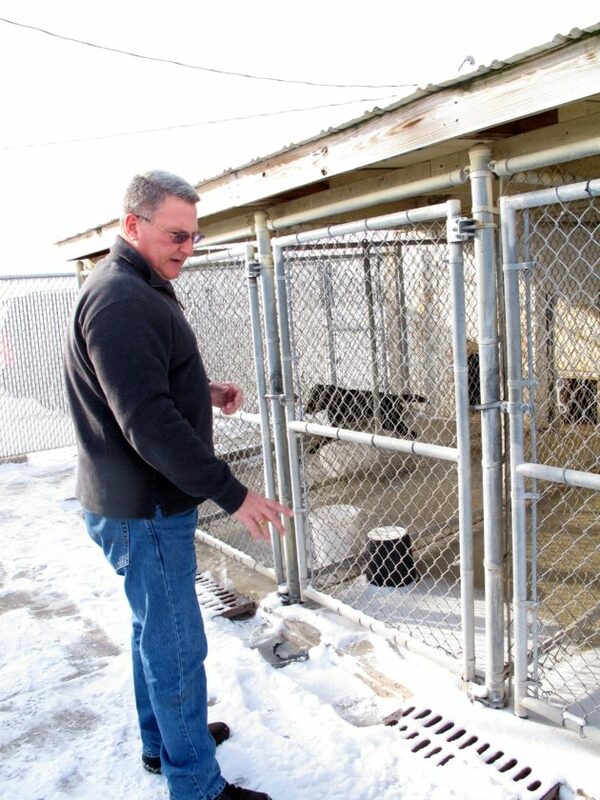 After at least five years of hoping and planning, Allen County Sheriff Dave Gladiuex will finally get a new canine training facility. That was assured Friday when the County Commissioners approved a $1.55 million construction contract with Hamilton Hunter Building Inc., which is expected to start work in 2019. Gladiuex had hoped to begin this year, but said that appears to be impossible because the Commissioners want County Council to set aside the necessary funds. Council approved $650,000 for the project last year, which at the time was expected to cost about $1.2 million. Initial bids came in at around $1.9 million, forcing cost-cutting changes to the project. Gladieux has said private sources would provide about $25,000 and said any shortfall will be covered by his so-called “commissary” fund, which contains money from jail inmates’ purchase of toiletries and other items. As Gladieux told The News-Sentinel in 2013, the current 40-year-old facility on the campus of the Byron Health Center at 12101 Lima Road is in poor condition. The new facility planned for the department’s training center on Adams Center Road, he said, will better serve the county’s needs and will also generate income by training dogs used by other police departments.